As engineering systems become more increasingly interdisciplinary, knowledge of both mechanical and electrical systems has become an asset within the field of engineering. 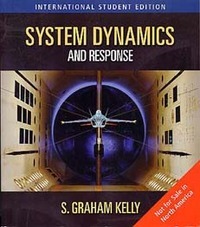 All engineers should have general facility with modeling of dynamic systems and determining their response and it is the objective of this book to provide a framework for that understanding. The study material is presented in four distinct parts; the mathematical modeling of dynamic systems, the mathematical solution of the differential equations and integro differential equations obtained during the modeling process, the response of dynamic systems, and an introduction to feedback control systems and their analysis. An Appendix is provided with a short introduction to MATLAB as it is frequently used within the text as a computational tool, a programming tool, and a graphical tool. SIMULINK, a MATLAB based simulation and modeling tool, is discussed in chapters where the development of models use either the transfer function approach or the state-space method.